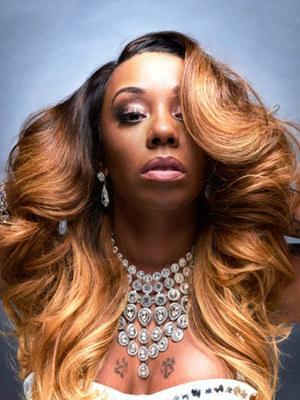 Paula Hellens is a reality television star and model, born on 14th December 1986 in Chicago, Illinois, USA, and is probably best known as one of the “bad girls” from the tenth season of “The Bad Girls Club” reality TV show, produced and aired by the Oxygen network. Have you ever wondered how rich Paula Hellens is? According to sources, it has been estimated that Paula’s net worth is over $700,000 as of February 2018, acquired mostly thanks to her reality television appearances, specifically in “The Bad Girls Club”. Since she is still active in various fields of the entertainment industry, her net worth continues to grow. Although she was born in Chicago, Hellens considers herself a southern girl, as she moved to Mississippi with her family early in her childhood. Paula attended Jackson State University, where she earned a diploma in political sciences; during her studies she developed her passion for hairstyling, and started working as a hairdresser soon after finishing college. In 2013 she was cast as one of the original bad girls for the “Bad Girls Club“ reality TV program, in participating in the show that focused on various verbal and physical confrontations between seven women of different backgrounds and personalities, each of whom tended to have behavioral or psychological problems. During the show, the cast lived in a luxurious mansion for three months, strictly obeying specific rules. She soon became known to the public under the nickname “Hell on heels“ for her opinionated and trouble-making attitude, with her main opponent on the show being Jenn Hardwick. Then Hellens also starred in seasons one and two of “The Bad Girls Club – All Star Battle“ show, in which she and other chosen ’bad girls’ competed for a prize of $100,000 and the title of “Baddest Bad Girl of All Time“. In the first season, Paula was eliminated in episode five, and in the second season she made it through two episodes, but adding to her net worth. Apart from her television career, Hellens has also had modeling ventures, including for iAdore magazine, Paper Dolls and Rhymes&Dimes. When it comes to her personal life, despite being a reality television star, Paula Hellens likes to keep it away from the preying eyes of the public. There has been no information on Paula’s personal nor professional life away from the TV screen.